We will be splashing the boat on Wednesday May 22, 2013 at Yanks Boat Yard where we had a list of repairs that needed professional attention along with or normal annual maintenance done the last few weeks. We had new cutlass bearing installed, drip less seals, and electrical work including a new Simrad Chirp transducer mounted in the hull. We also had quite a bit of glass work done on the splash rails that had incurred some damage running through the debris after Hurricane Sandy. 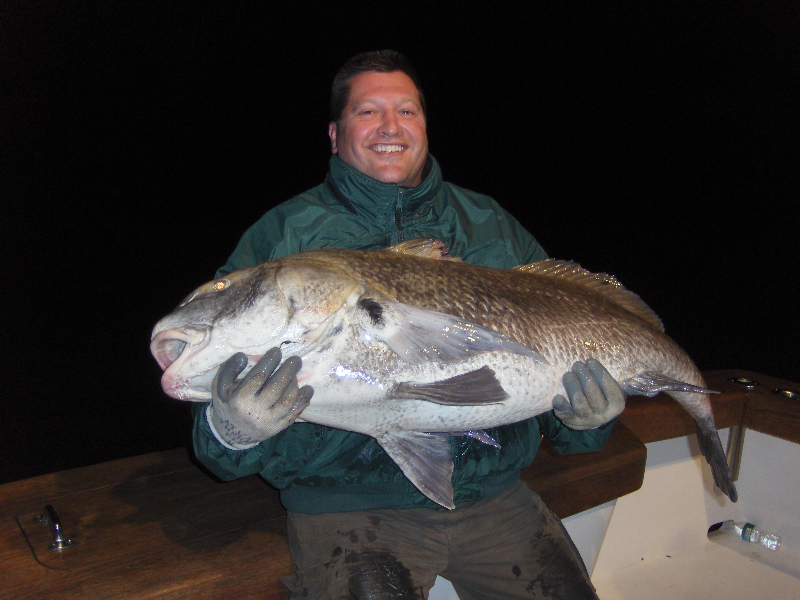 We are now ready to start fishing offshore for Mako Sharks, Tuna as well as Black Drum on the Delaware Bay. In late April, we also passed the most comprehensive US Coast Guard Safety Inspection that they offer for uninspected charter boats to help our customers know we meet the highest standards when it comes to safety on the Hooked Up II. There is information about howthorough this safety inspection is on our web page. When you fish on the Hooked Up II you can feel confident that the most advanced and comprehensive safety equipment will be on board as we far exceed what is standard on most 6 pack charter boats. This coming Memorial Day Weekend we are offering day, afternoon into the early evening and all night Black Drum trips on the Delaware Bay. With this weekend’s full moon, we expect to catch the biggest drum of the season. Historically, the full moon always produces the biggest drum! To get reserve your time, be sure to contact us as soon as possible. 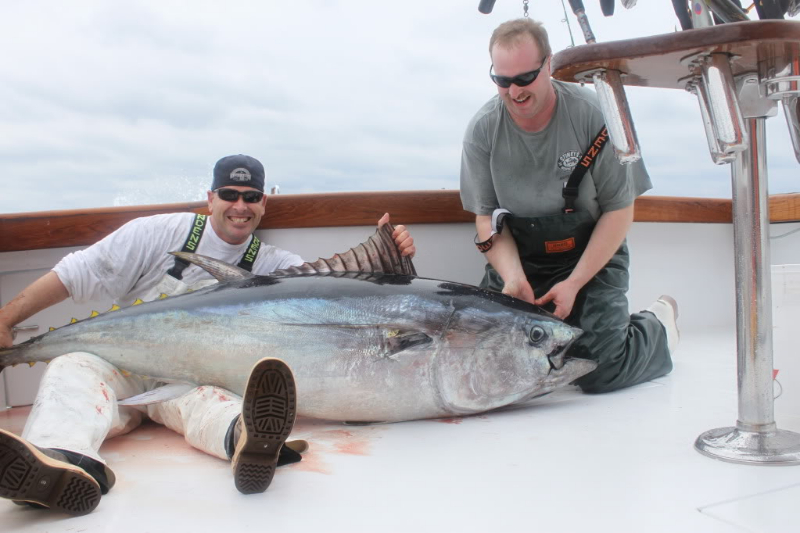 We do both regular charters for up to 6 anglers along with make-up trips for singles and small parties. We are available to charter for the South Jersey Shark Tournament coming in early June (June 6-9). Last year our mates Vinny and Ray worked the cockpit and caught the winning Mako (340 lbs) on a private boat. I have been fishing Makos locally for over 25 years now and along with mates Vinny and Ray offer a legitimate chance to win the shark tournament or place in the money with the various Calcutta’s. We caught and released the most sharks by a charter boat in the 2011 South Jersey Shark Tournament including 11 Makos in two days fishing so if they are around we will catch them. As soon as we know there are Yellowfins locally we will also start running trips offshore for them as well. Keep checking our webpage and our facebook regularly for up to date fishing reports and more!